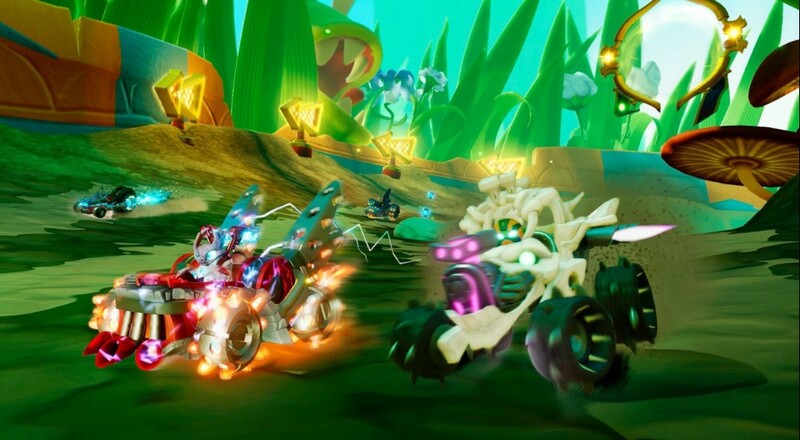 Skylanders SuperChargers introduces a new type of hero in Skyland, aptly named the SuperChargers. Those demons of speed come with brand new weapons, attacks, and plenty of stunt-like moves in their repertoire. Vehicles are designed for air, land and sea racing and can be customized and upgraded for maximum awesomeness. Outside of the game, the SuperCharger toys come with moving parts to make them more interesting on their own. You can even combine a SuperCharger Skylander with its signature vehicle to create a SuperCharged combination. The new Skylanders release is scheduled for September 20th in North America and September 24/25th elsewhere. A starter pack bundled with lots of extras is currently available for pre-order. The target platforms include Xbox One, Xbox 360, PS3, PS4, Wii U, Nintendo 3DS, Wii, and iPad. The Wii version will be a "unique adventure", with further details coming soon. Oh, and here's a little bonus in case you forgot to celebrate National Donut Day. Get it? Donuts? !